There has always been a certain fluidity between fashion and architecture. The Colosseum, the Trevi Fountain, and the Spanish steps were restored through funding from Tod’s, Fendi, and Bulgari respectively. Zaha Hadid’s legacy lives on through her innovative collaborations with Rem Koolhas, Pharell Williams, and Chanel. At Prada Spring 2019, Miuccia proudly sent looks down the runway that were designed in collaboration with architects Cini Boeri, Elizabeth Diller, and Kazuyo Sejima. I was in awe of these monumental gestures; my afterthought, however, was not so pleasant. Why has the rescue of emblematic monuments only happened in Rome? Why has India not taken a page from this, seeing that we, too, boast a repository of historic landmarks? Khursheed Jah Devdi in Hussaini Alam, Old City (a little ways down the road from Charminar) is a sight to behold. Constructed by Nawab Fakhruddin, it was the residence of Khursheed Jah Bahadur, maternal grandson of the third Nizam of Hyderabad. Adorned with stellar chandeliers and luxe tapestry, it was once considered a prime example of Palladian architecture and European flooring. 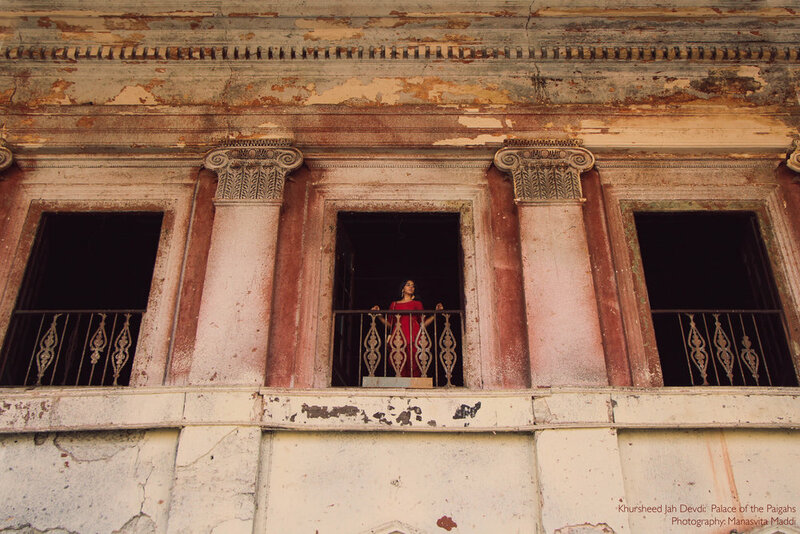 Today, the Paigahs palace, listed as a heritage monument, lies in absolute ruins - blackened by the soot of 150 years, pockmarked by pollution, and made wonky after multiple film crew abused it for their cinematic narratives. “When the Paigahs shifted from Old City to Begumpet as it became hard for them to maintain the building, it came into the hands of government, who have ignored the beauty of the architecture,” said P Anuradha Reddy of INTACH. If you know any heritage activists that can seriously push for restoration of this gem, please get in touch with me. There is still hope that Khursheed Jah Devdi will gleam white by the day and flush pink as the sun sets.